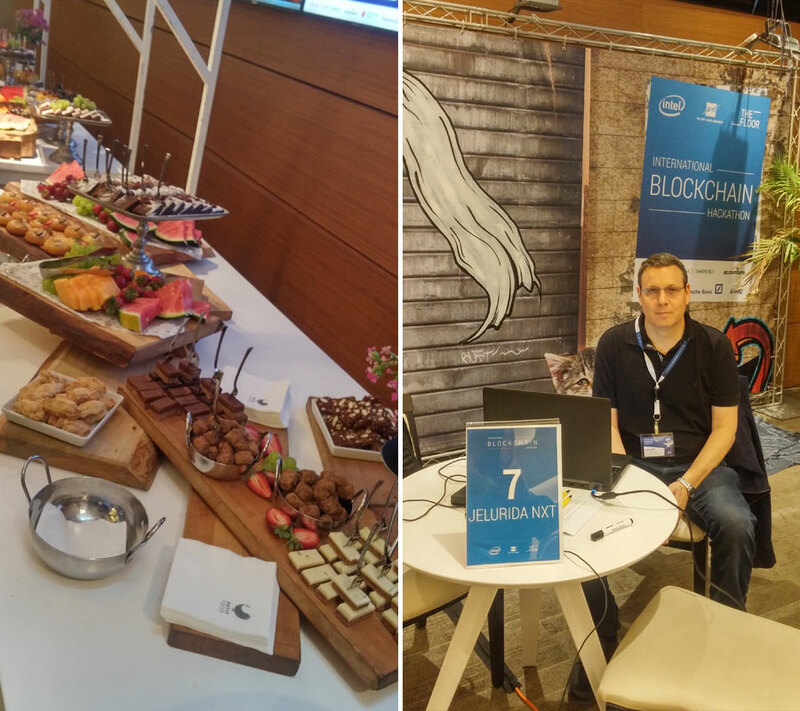 Riker (Lior Yaffe, Nxt, Ardor, Jelurida) was at the Intel & The Floor Blockchain Hackathon in Tel Aviv, to meet the challenge of creating a digital “Share registration” solution. As we learned yesterday, it turned out that coding or hacking wasn't very needed, as all the necessary functionality (and GUI) is already built into the Nxt core distribution and has been working for years. Anyone can download the Nxt Client and make use of it already. 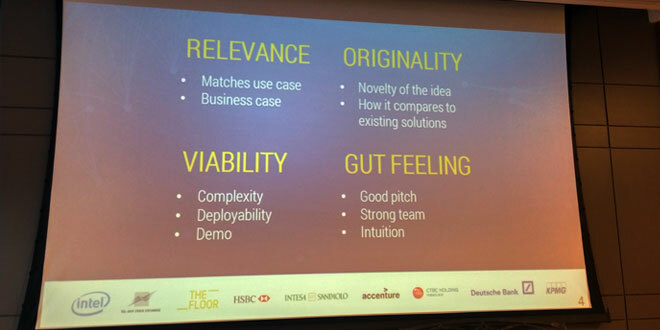 Read on and see how Nxt solves the hackathon challenge right out of the box. The Jelurida/NXT team was automatically qualified to the finals (no need to present in front of the judges in the semi-finals). This means a whole 5 minutes presentation in front of the full panel + 2 minutes time for questions for judges. Done now. Took 4:20 minutes to deliver. There were no questions so not sure if everything was understood or if they lost interest. There is a low-quality video from my phone. I'll upload it after I get a chance to watch it. No prize but was a very nice experience. Curious why there were no questions. 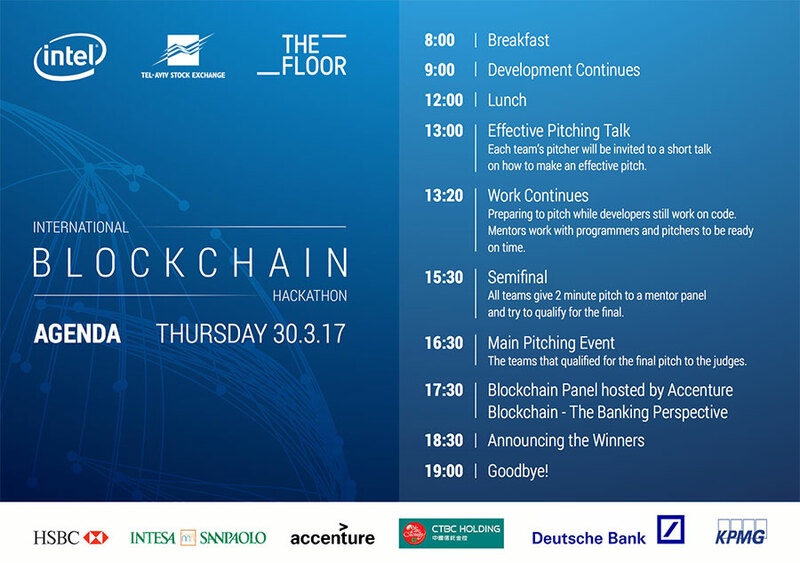 The audience were shocked or couldn't believe it can be done just on blockchain? Only the 10 judges were allowed to ask questions. In other presentations, they asked 1 or 2. How much time did you spend on coding compared to the winners of the hackathon, u think? Frankly, I didn't spend too much time coding. I think maybe 40% of the time. Dozens of people kept approaching my desk to chat about my plans and make suggestions and I pitched about our technology to anyone who was willing to listen. I have business cards from businessmen from (in no particular order) KPMG, Accentue X 2, HSBC, Tel Aviv Stock Exchange, Intesa San Paolo and others. Spoke to several executives from Intel, the organizer. One of the main problems of our team was that it was only me, I think we scored really bad in this category. Nevertheless, it was a great experience, we got tons of exposure and I made some interesting connections. I think when getting on stage in front of 200+ people my heart rate jumped to 200. Overall it was a great learning experience. What Lior Yaffe presented to the panel and the audience in Tel Aviv today was just a small part of what the Nxt platform has to offer. Get a good overview of the Nxt core features and how to use them here. Interested developers can get a good start here and by reading the nxtwiki. 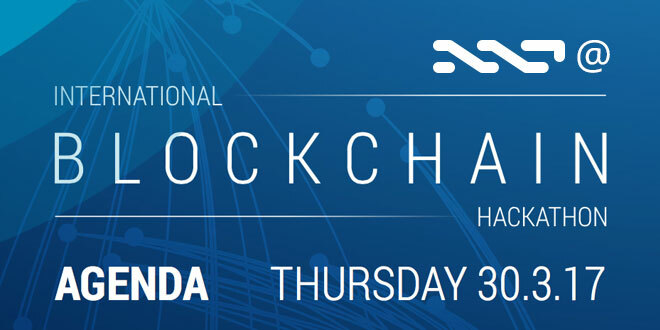 Don't forget to join our Slack, talk to us, and if you think Nxt is amazing - take a look at ARDOR.